The most common injuries that can trouble the Achilles tendon are tendon ruptures and Achilles tendinitis. 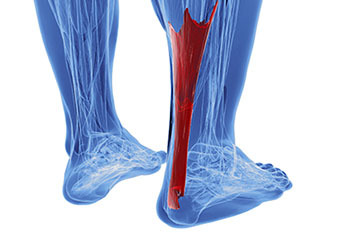 Achilles tendinitis is the milder of the two injuries. It can be recognized by the following symptoms: inflammation, dull to severe pain, an increased flow of blood to the tendon, thickening of the tendon, and slower movement time. Tendinitis can be treated via several methods and is often diagnosed by a comprehensive examination which may include diagnostic testing such as ultrasound imaging or MRI.